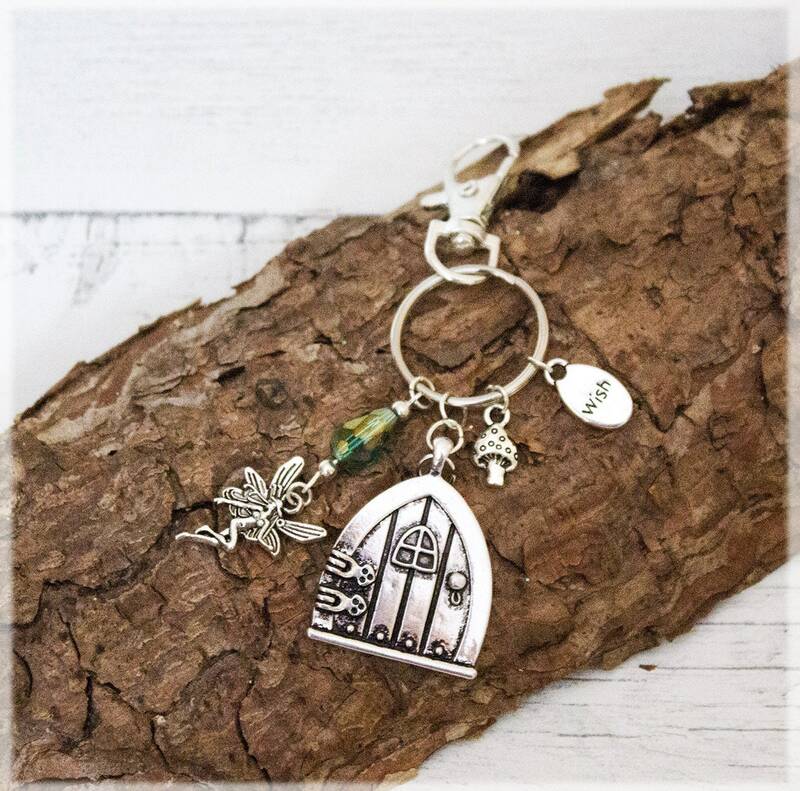 Enchanting antique silver toned Fairy Door pendant with a magical fairy key charm, hand crafted in my magical faery studio. 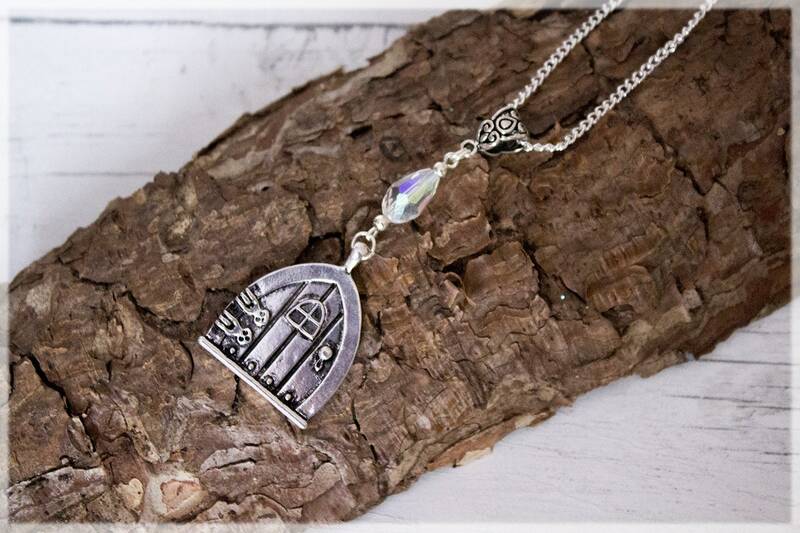 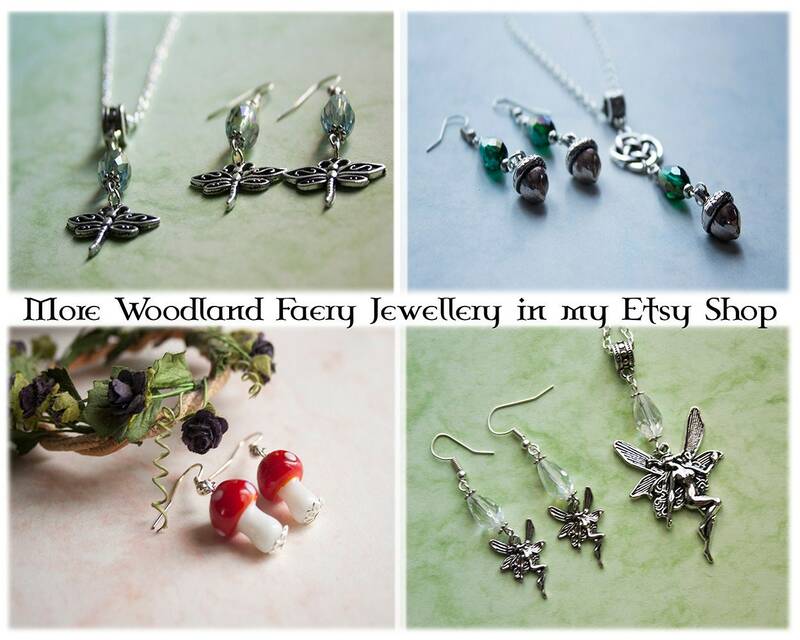 This magical fairy door inspired necklace, features a beautiful antique silver door pendant! 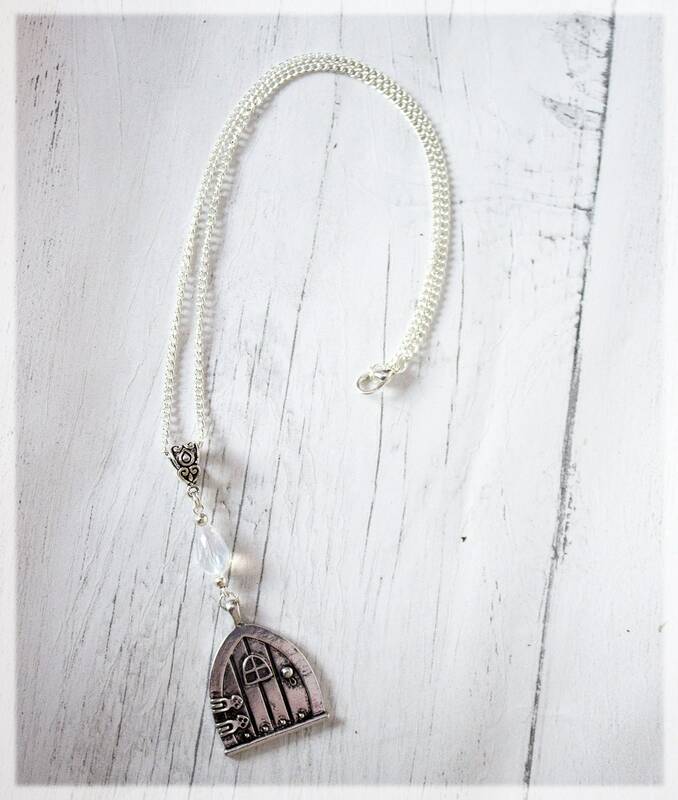 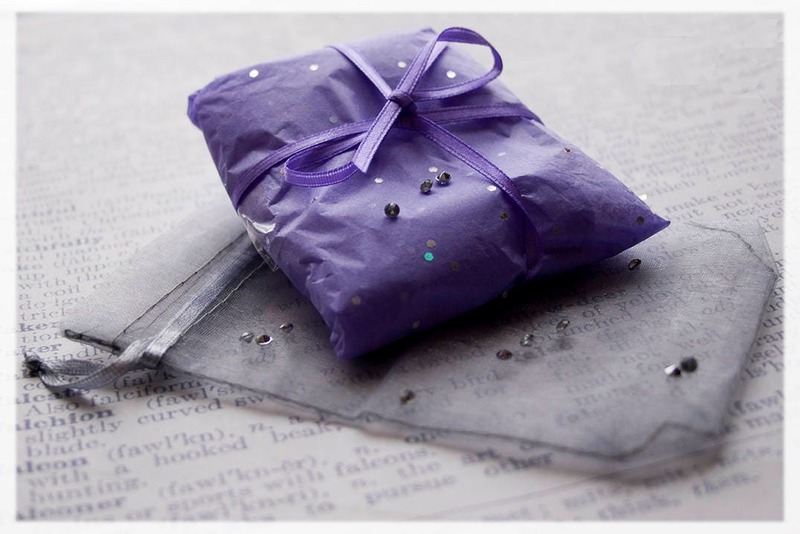 It is adorned with beautiful iridescent glass bead, that shows shimmering colours in the light! 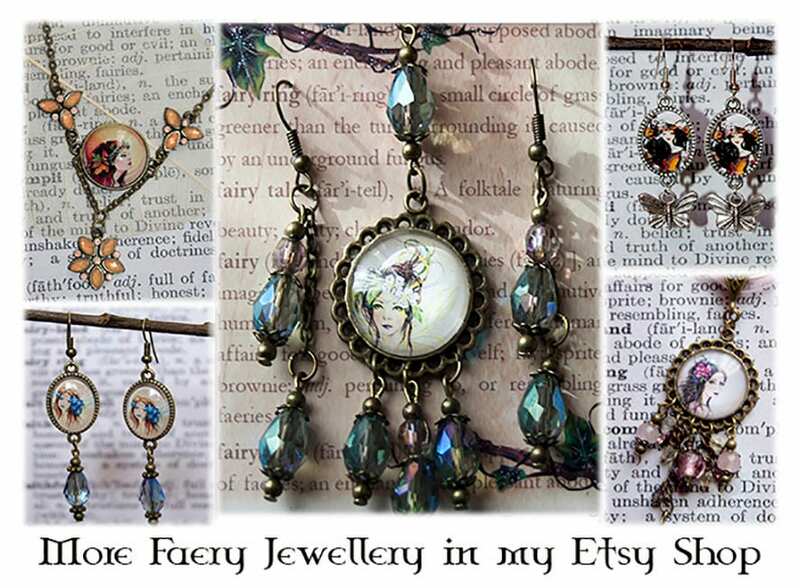 Inspired by my love of magical fairy doors! 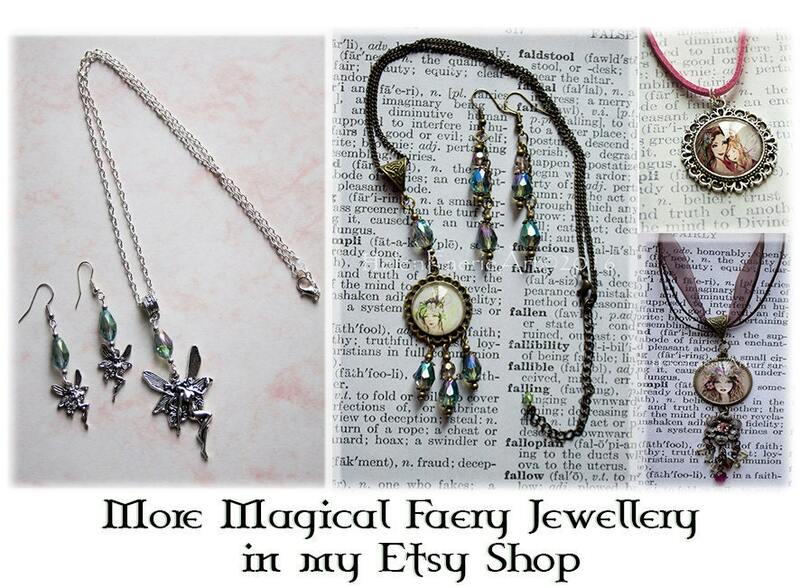 Invite a faery in your home by placing a fairy door against your wall and the faery portal is ready! 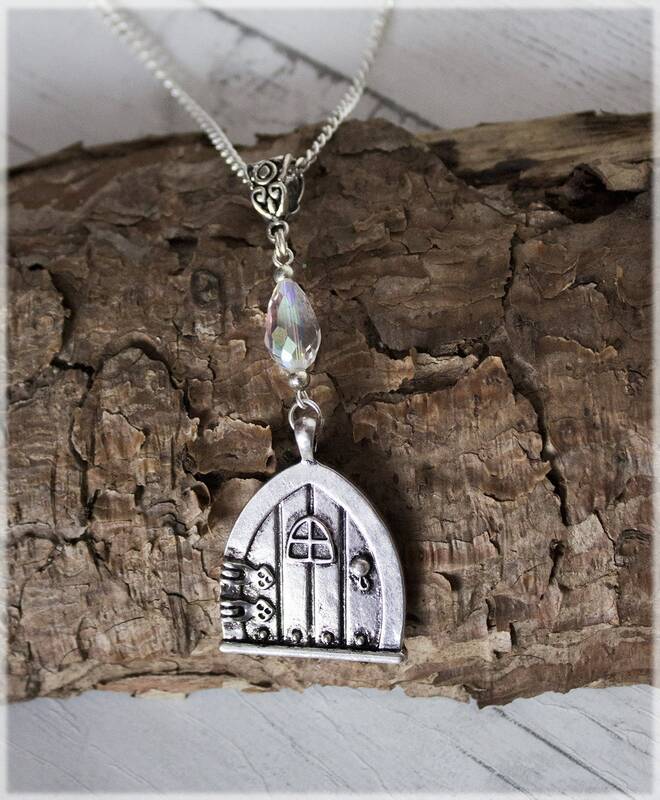 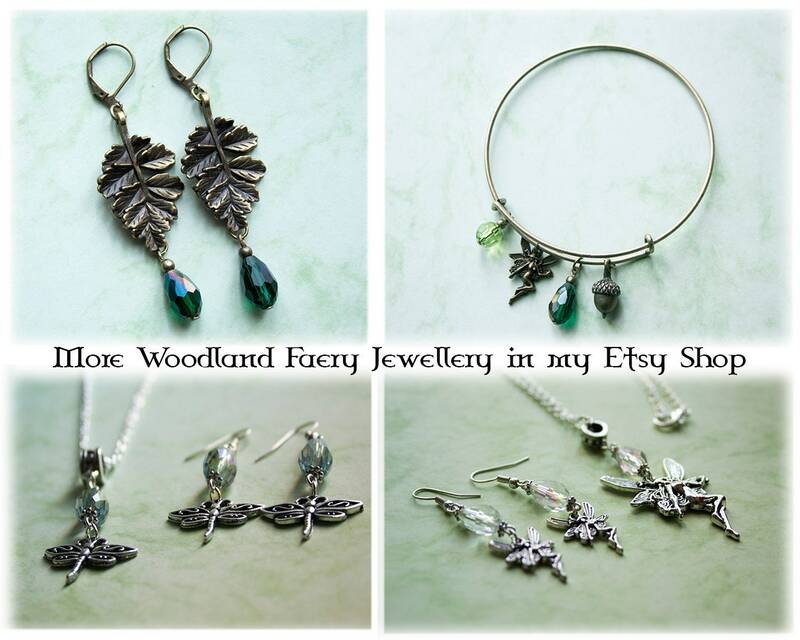 By wearing this magical necklace you'll have the key to little faeries home!